Sofitel Philippine Plaza Manila, in partnership with P. Ferraud & Fils, presented an exclusive wine dinner at the iconic dining destination, Spiral. Renowned French winemaker Yves Dominique Ferraud flew in to join guests in the launch of Sofitel's celebration of wine featuring a premier wine collection from vineyards in southern France paired with an indulgent four-course set menu. Yves Dominique is the fifth generation winemaker of P. Ferraud & Fils, who believes that the symbiosis of traditional and modern techniques is essential to ensure the quality and typical character of the wines and the consistency of the appellations throughout the different vintages. He officially joined his father Pierre in 1986, which also marks the start of the wine company's entry into the international market. Producing the finest wines since 1860, P. Ferraud & Fils' vineyards are primarily located in the Rhône Valley and Burgundy. Known as Belleville Sur Saône, the magnificent Beaujolais terroir gives a beautiful variety of wine thanks to its rich soil of clay-limestone, granite sandstone, and granite. It offers aromatic and fruity wines such as Beaujolais and Beaujolais Villages as well as more complex and rich wines with the ten Beaujolais crus: Brouilly, Chiroubles, Chénas, Côte de Brouilly, Fleurie, Juliénas, Morgon, Moulin-à-Vent, Régnié, Saint Amour. Being in the industry for over a hundred years, its range of old oak casks are testament to its intact traditions and mastery on winemaking. They still use their hundred-year-old traditional method of breeding in wooden tuns. Upstream and downstream the production line, it prioritises on partners sharing the same qualitative philosophy as theirs. The curated wine collection included Crèmant De Bourgogne, Aligote 2016, Châteauneuf-du-Pape 2016, and Saint Joseph 2016. The elegant selection of wines were paired with fish quenelles with saffron crab bisque, Lyonnais saucisson in brioche, assorted canapes, and braised short ribs with red wine and potato mousseline and vegetable medley. Decadent desserts were infused with exquisite wines from southern France as red wine poached pear and sorbet. Ferraud Wine Dinner marked the beginning of Sofitel Wine Days, a celebration of taste until October 31, 2018. 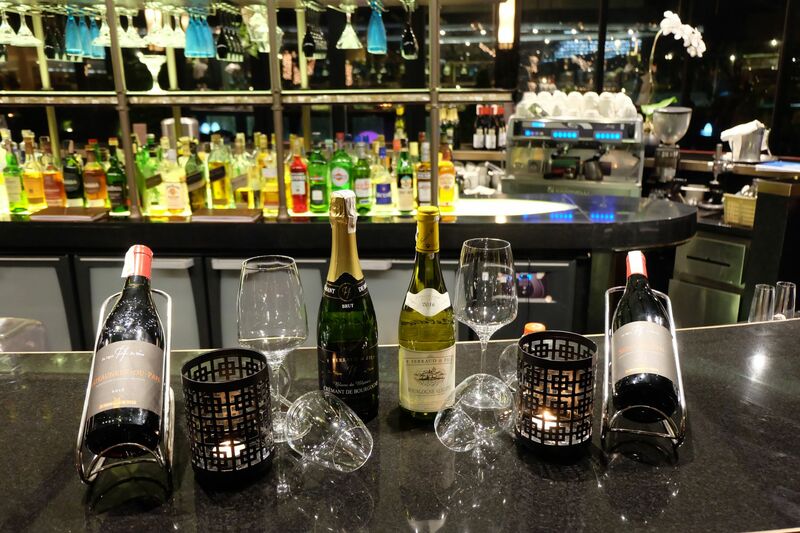 Dining patrons are invited on a journey of the finest wines with much-awaited events such as Spiral Wine Museum, exclusive Wine classes, Corks Crafts, Napa Valley Wine Road and Una Noche En España. Sofitel Wine Days is a yearly celebration featuring world-renowned wine regions and vineyards in celebration of gastronomy and wine.